I can't figure out why this YA trilogy isn't more popular. My library only ordered one copy of this book, and I was the only one who put it on hold. Even after having it for the entire 3 week loan period, there was still nobody waiting when I returned it. Sure, it's science fiction, not urban fantasy (no angels or vampires), but I also suspect this series wasn't marketed much. Which is a shame, because it is of much better quality than series like Hush Hush or The Lorien Legacies. 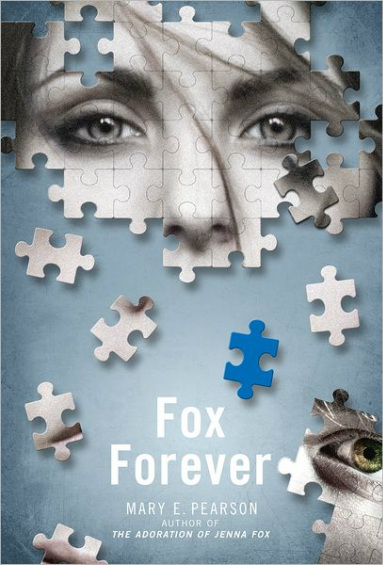 Not that The Jenna Fox Chronicles doesn't have its faults. My biggest problem with books 2 and 3 is how little things have changed in the 260 years Locke was trapped in a computer matrix, including Locke himself. He was basically in a sensory deprivation tank. He should either be irrevocably insane, or a zen master. Instead, he's (mentally, emotionally) the same average teenage boy he was when he was downloaded into the computer. I tried to figure out how this could be possible. I thought perhaps the matrix wouldn't allow for his brain patterns to change, but then how would he have created memories? And he definitely remembers being in the "box". So it really makes no sense that his personality didn't mature at all, after 260 years. And thus his relationship with the teenaged Raine is kind of creepy, much like, oh, a centuries-old vampire or angel falling in love with a teenager. The world outside has changed a bit, but everybody still speaks with the exact same vocabulary as Locke. It is too easy for him to fit in with Raine and her friends - they should have all kinds of slang that Locke has never heard of, and vice versa. Pearson gives a couple of nods to this fact, and Locke almost gets caught, but really, he had it much easier than is realistic. If you time-travelled back to 1753, you'd stick out like a laser show in a sea of campfires. These implausibilities bothered me quite a bit while reading this series (though it wasn't as big an issue in The Adoration of Jenna Fox). The plot of this third book was decent, a bit of an unlikely spy thriller, really. Pearson's writing is fluid, introspective and mature, but still highly accessible. I rolled my eyes a bit at Locke and Raine's "instalove", but at least it was a watered-down version, not immediately requited, and not the main focus of the plot. The political aspect of the series (citizens vs. non-pacts & bots) gets satisfactorily wrapped up by the end of this book, but it's a bit of an afterthought/info-dump. I had a difficult time when I first picked up the book, the same week the Boston Marathon bombings occurred, and the manhunt was getting constant live news coverage. (This book is set in Boston and Locke travels to many locations mentioned in the news, including Copley Square where the bombs exploded). For this reason, I had to put the book aside for about a week. Even then, it was sometimes hard to concentrate on it. I have a hard time knowing whether that was my issue or if the story just wasn't that interesting to me. It's a decent finish to the trilogy, more like the second book than the first.